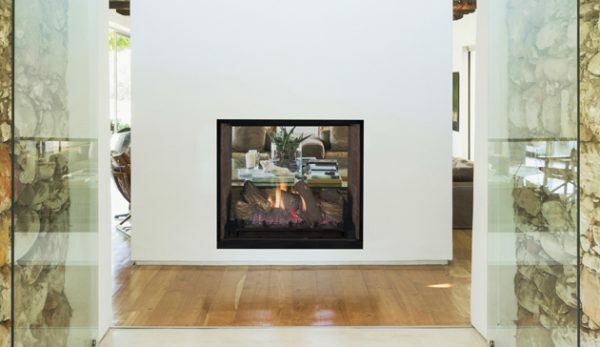 With its expansive two-sided opening and stunningly realistic fire presentation, the DRT63ST See-Through provides a harmonious flow from one space to another, inside or outside the home. The DRT63ST See-Through is available in a 40″ size, and comes standard with high-definition logs, ceramic ember bed burner, log grate, a SIT Proflame II control system with seamless battery back-up, CIP/IPI switchable, 6-flame settings with full function thermostatic remote control. Power vent model requires use of the power vent kit (purchased separately).